Congratulations to Neil Gary, Pam Gibson, Bob Becker, Candy Pankey Ledford, Donna Cowart Mousa, and Mike Brumby as our 2018 Gilmer Sports Hall of Fame Inductees. L-R: James Bradley 2009, Keynote Speaker Greg Frady 2006 , Susan McVey 2016, Patrick McVey 2009. 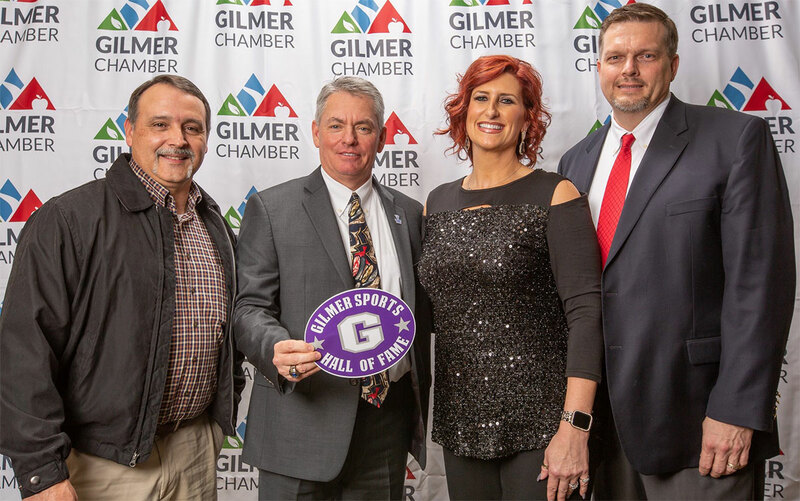 Gilmer Sports Hall of Fame Class of 2006 Inductee Greg Frady was the Keynote speaker for the Annual Gilmer County Chamber of Commerce Banquet on January 17, 2019. We are proud to have one of our own be a part of the annual banquet. Hole In One SUPER PRIZE! 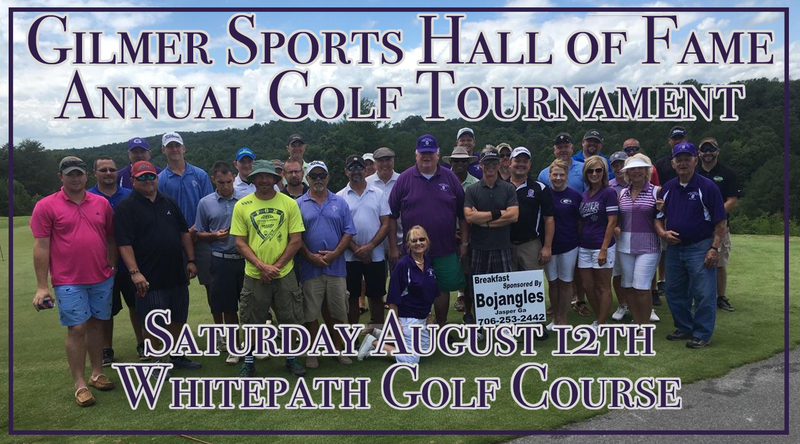 Net Proceeds allow the Gilmer County Sports Hall of Fame organization to assist local Gilmer High School seniors with scholarship money to further their education. In 2018 we awarded scholarships to almost 30 students! Established in January of 2002, the Gilmer County High School Athletic Hall of Fame recognizes excellence in athletics as demonstrated by former Gilmer High School athletes – or – outstanding contributions made to the Gilmer County High School athletic program by coaches, administrators, support personnel, or booster club members. 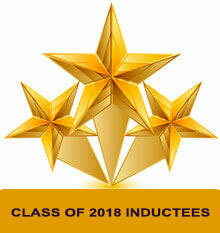 In order to be selected for induction, a nominee must receive a majority vote from the Hall of Fame membership. All members of the Hall of Fame will vote. Members who are not present will vote by absentee ballot. If an athlete is not selected on the first ballot, she or he still has an opportunity to be selected at a later date during the three year period of eligibility.